We absolutely love using flashcards in our home! My daughter enjoys playing different games with her ABC flash cards and what’s better than FREE Printable Unicorn Flashcards? 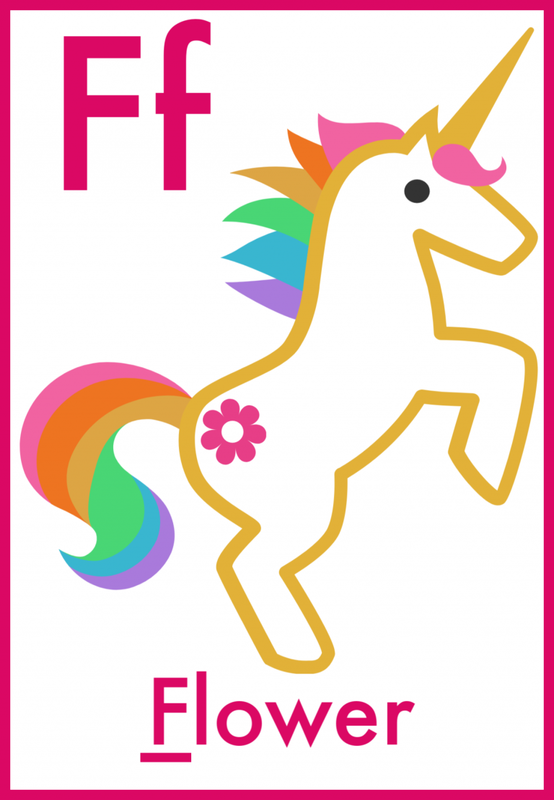 Any young learner will love these Unicorn Flash Cards! 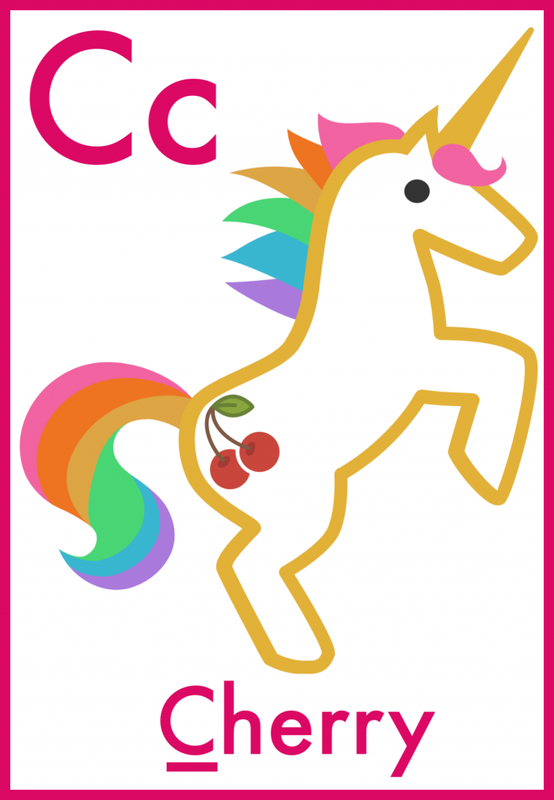 They feature upper and lowercase letters along with a unicorn “cutie mark” object to match. They can help your toddler identify and learn each letter of the alphabet and reinforce the concepts you are already teaching. 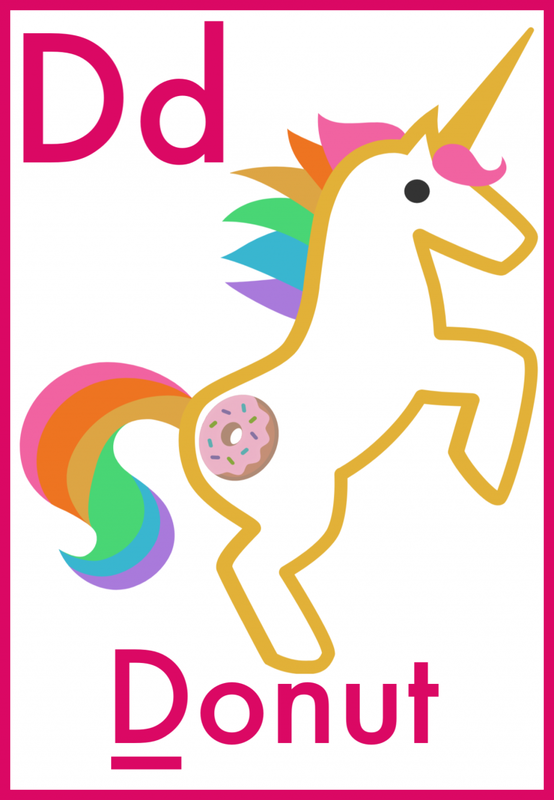 Click and print your Unicorn Flashcards and start learning! 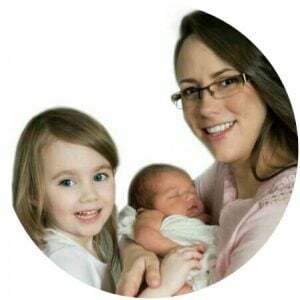 While you may not know yet how your little one learns, flashcards are a terrific educational tool for auditory, kinesthetic and visual learners. You may be surprised what your auditory learner absorbs. Although she may not be directly look at the card, she is understanding what is being presented to her. THINGS TO TRY: Read the cards to her and have her repeat them back to you. Visual learners truly thrive with a flashcards. 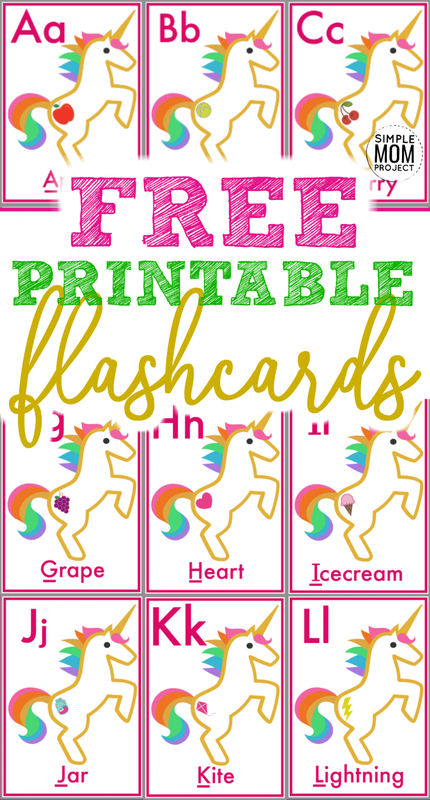 If your child is a visual learner, she will love sitting and reading as you go through a fun and engaging flashcard lesson. THINGS TO TRY: Sit down in front of her and show her the card, and ask her to repeat or point at what is shown. With kinesthetic learners, their joy is to touch and feel the world. With flashcards, they are able to feel the card and learn through fun activities. 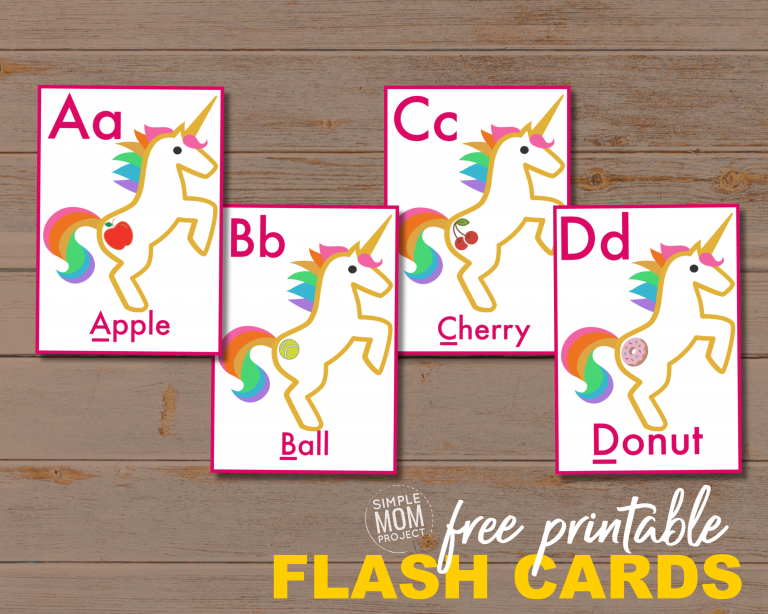 THINGS TO TRY: Call the letter out and ask her to find the corresponding flashcard or print two sets of these flash cards and make a matching game! You could also tape the flash cards to things around the house that start with the same letter. Example: Tape the letter ‘B’ to a book shelf and ask her to find the letter. 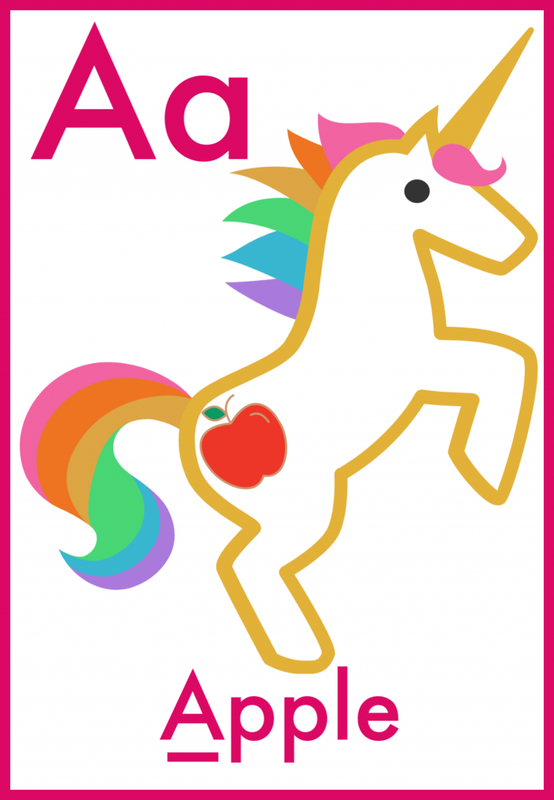 Click on the link below and print your free ABC flashcards for your preschooler! Print them on white card stock paper. Then use this amazing cutting tool to cut them evenly. 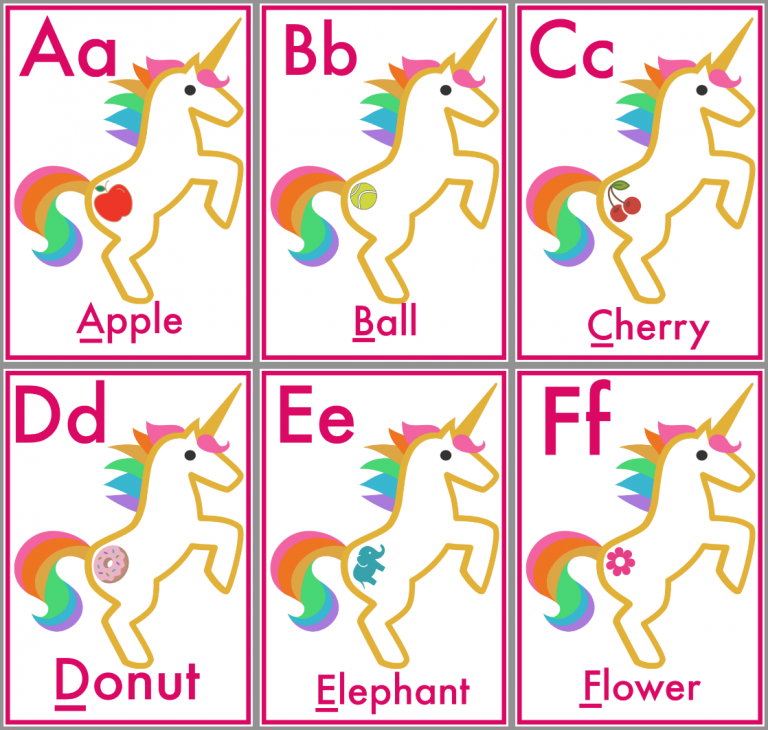 These unicorn theme flashcards are such a cool way to help your toddler learn the alphabet! However you decide to use these flashcards, remember to keep learning fun and exciting! 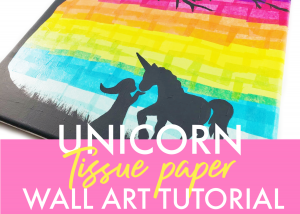 Let me know what other games your child loves and be sure to follow us on Pinterest for new, exciting crafts! Thank you so much! I am glad that you like them!